I thought I should make my blog post before it got any later, although I was tempted to wait until at least the next movie. We began the movie watching portion of our day early so are able to get more movies in. Naturally I wanted to watch all Halloween movies (I always want to watch all Halloween movies, but during October is the time it is easiest to get away with). We began with a DVD which was loaned to me by a work friend, Phantom of the Opera (1943), colorized. This is the reaction you might get when you try to take a girl home on the first date. I did not realize this was the Claude Rains version. I love Claude Rains! I’m not sure I loved the movie, although I did love the ending. Perhaps I’ll write a blog post about it. I have not done a movie write-up in a long time. I love doing movie write-ups. 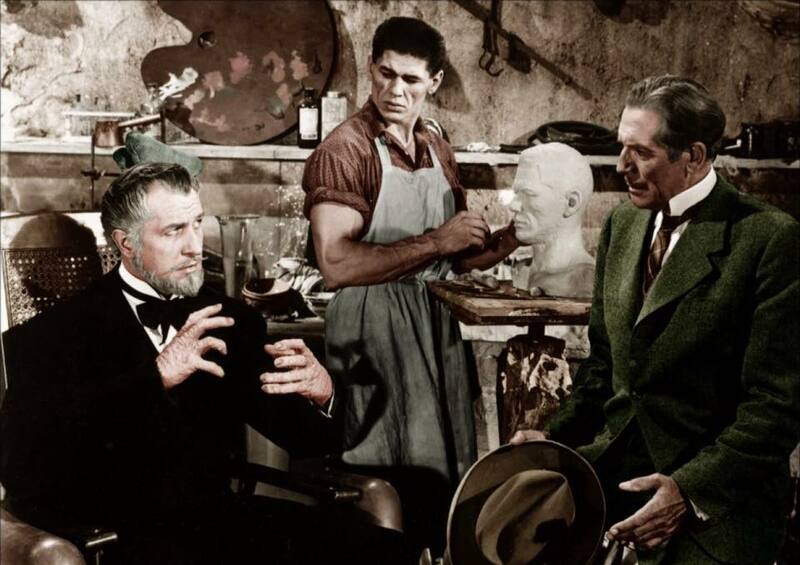 After Phantom of the Opera, I suggested House of Wax (1953), because Vincent Price has a deformed face, kind of like the Phantom (acquired by different means but with a similar personality-warping effect). For another reason, I knew House of Wax moved along faster. I like a movie that moves right along. Yes, that is Charles Bronson in the center. Vincent Price is hiding his deformed face, by the way. This brought us to 2 p.m., when I knew Snapped was on. We decided to check that out before going on with our movies. Sunday is a good day for Snapped, after all. 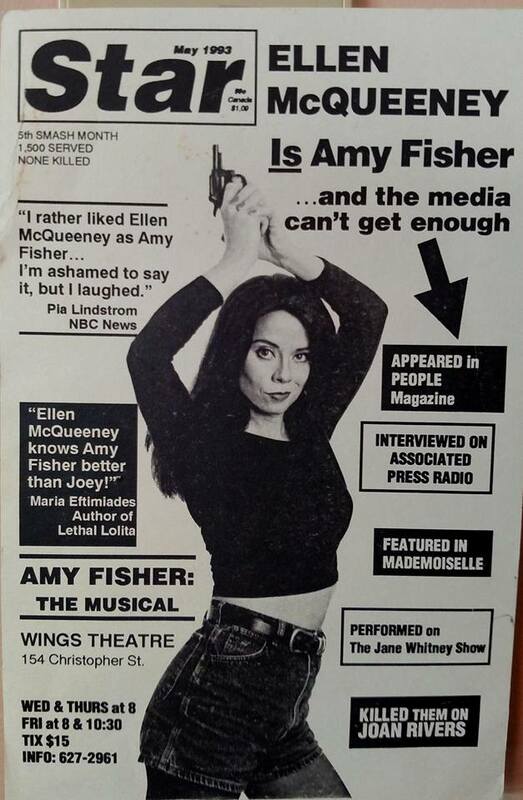 Unfortunately, it was the episode about Amy Fisher. I was hoping for one I had not seen, so we reopened the movie debate early. 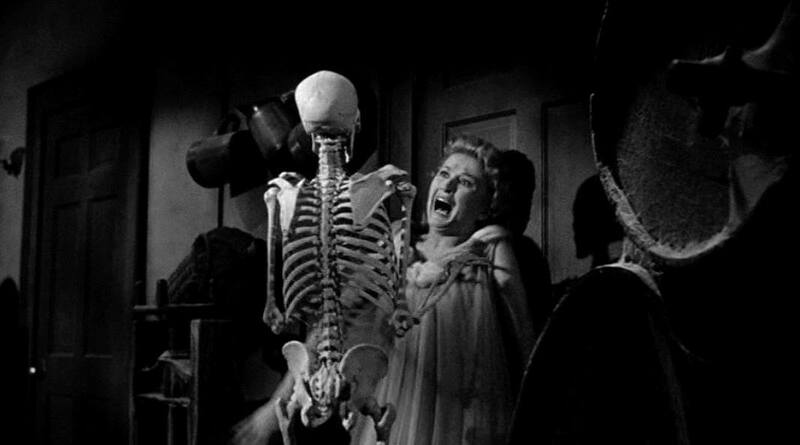 At last we settled on House on Haunted Hill, because it stars Vincent Price. I like to have a connection between my movies. Additionally, this is a William Castle movie. I loves me some William Castle! I guess she doesn’t have a thing for skinny guys. Oh dear, as I typed this in, House on Haunted Hill got finished. Now I must debate with Steven as to which movie to watch next. More Vincent Price? Another William Castle? Or maybe something with a house. Or a hill. Happy Sunday, everyone. Posted in humor, personal, Sunday Cinema and tagged Amy Fisher, blog post, blogging, cheesy horror movies, Claude Rains, entertainment, Halloween, House of Wax, House on Haunted Hill, Phantom of the Opera, Snapped, Vincent Price, William Castle. Bookmark the permalink.